The maximum number of people per group is 10. Private tours can accommodate larger groups - please contact us for more information about private. The minimum age is 7, or less as long as your child has a minimum weight of 25 kg (56 lbs). The maximum weight is 130 kg (286 lbs). These limits are due to life jacket sizes. What to bring: Water, snacks, sun protection (hat, sunglasses, sunscreen), swimwear and towel, water shoes or footwear good for walking that you don't mind getting wet. We recommend shoes with a strap-around heel. We can provide a waterproof bag for small things if needed. If weather is chilly, we recommend a wetsuit. We can provide neoprene spring suits (wetsuit with no lower arms and legs) free of charge. We do not provide fins for snorkeling. Fins can cause (and have caused) damage to the environment if you aren't an experienced snorkeler. Feel free to bring your own along, but you'll have to carry them during the hike. Please arrive at our meeting point 10 minutes before the agreed start time. No previous experience with hiking and snorkeling is necessary. If you don't know how to swim, you can join the hiking portion of the tour and stay in the shallow areas during the snorkeling portion (or skip the snorkeling altogether and relax on the beach). The guide chooses the exact hiking route based on your group's abilities and weather conditions. 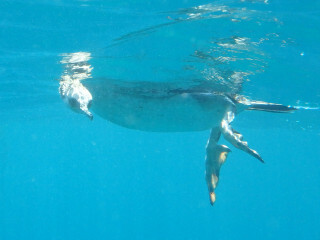 Every tour is slightly different, but we always try to visit the marine reserve. As the tour will take a full day, we will have a late lunch after the activity. We suggest you have a nice breakfast and bring some snacks. You can also buy food and drinks in the restaurant on the spot. They sell bottles of water, although it’s cheaper to buy water before joining us on the tour in Barcelona. We may need to cancel the tour due to bad weather and unsafe sea conditions. All our guides are qualified professionals who put your health and safety first, so please understand that when a tour is canceled, it is for your safety. Our guides always decide which is the best and safest route to take and where it is possible to snorkel. Please respect their decisions as they are extremely knowledgeable of the area. Meet at the monument (unless stated otherwise) at the bottom of the Gothic Quarter. Please arrive 10 min before the scheduled start time. 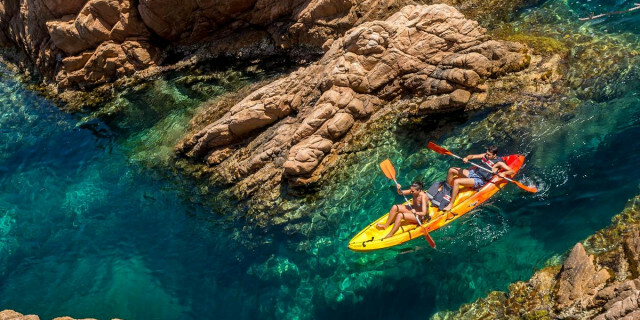 Snorkel through a crystal clear sea filled with aquatic life and hike along cliffs to a hidden cove. 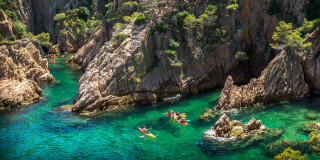 This full-day tour of Costa Brava's stunning coast is ideal for families and explorers looking for adventure. After meeting in the morning in central Barcelona, we board our private air-conditioned bus and head north. 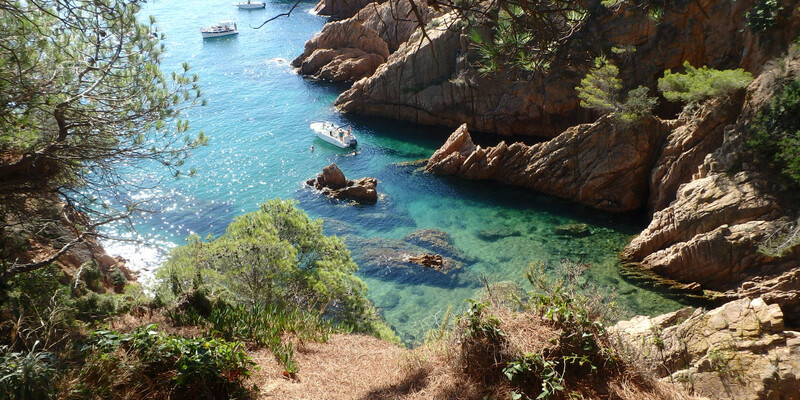 We briefly visit the small town of S'Agaro, situated among beautiful - and protected - pine forested sea cliffs. Then it's off to our base at a picturesque beach, the starting point to our hike. Your experienced guide leads you along a coastal path with rich greenery and a variety of exotic flora and fauna unique to this microclimate. The guide tells you about it all as you walk along incredible views of the turquoise Mediterranean. During the entire hike, you are free to jump into the sea at any time. 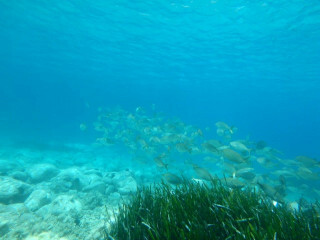 Snorkeling around this area's scattered islands is like a dream, as the water is perfectly clear. 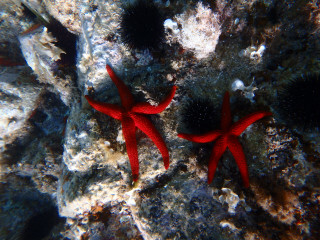 You see stunning seabeds of rock formations, seagrass, and sand, all housing many species of aquatic life. From octopus to moray eels and even barracuda, you will have plenty of friends joining your swim. 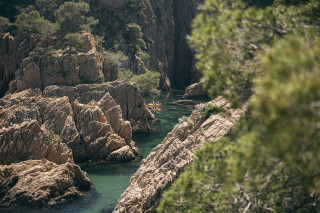 We explore a charming urban area before returning to nature, this time to one of Costa Brava's loveliest pine forests. After such a full day, we arrive back to our beach to relax and enjoy a delicious lunch. 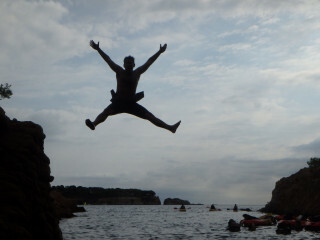 You can continue splashing through the waves, do some light cliff-jumping, or just enjoy the sun and a drink until we head back to Barcelona at around 6:00 p.m. 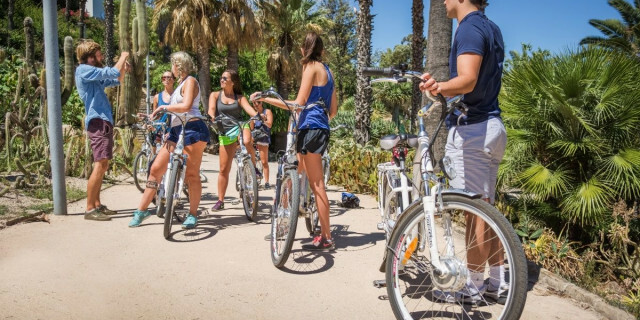 This tour makes sure you experience Costa Brava to the max in one single day. From flora to fauna, from exotic paths to the cool sea and the life within it - you do not miss a thing.